The Carrera RS is a lightweight variant of the Carrera. It features a naturally aspirated 3.8 liter engine with 300 hp (DIN). On the outside, it is easily distinguishable by a special non-retractable rear wing, small front flaps and 3-piece 18-inch (460 mm) aluminum wheels. The headlight washers were deleted for weight saving reasons. Inside the rear seats were removed, and special racing seats and spartan door cards were installed. Sound proofing was reduced to a minimum. 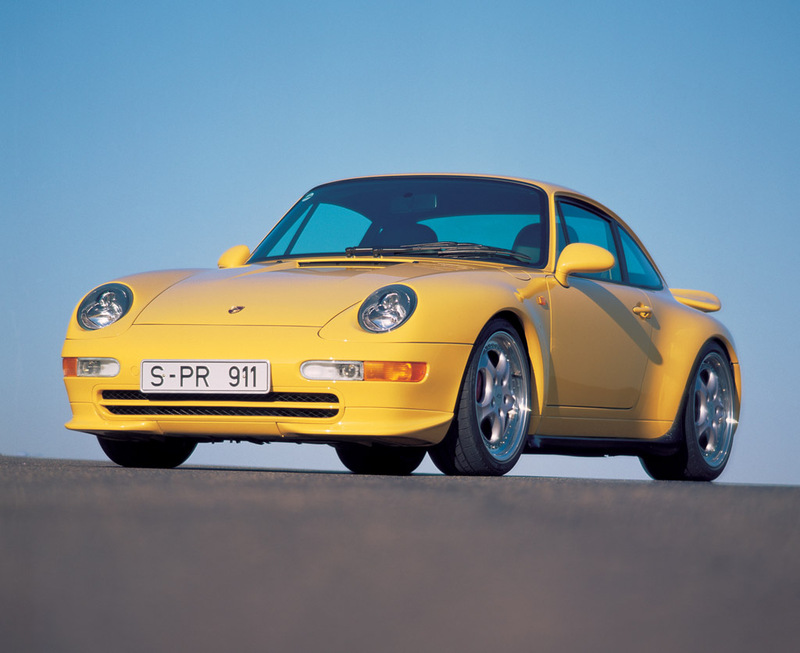 1996 Porsche 911 Carrera RS 3.8 WP0ZZZ99ZTS390503 – sold for $550,000 Delivered new to Germany in Guards Red over a black leather interior fitted with optional electric windows, air conditioning, and front airbags. Imported to the United States and federalized by G&K Automotive Services in Santa Ana, California, in 2003. Recent repaint. 42,000 miles.